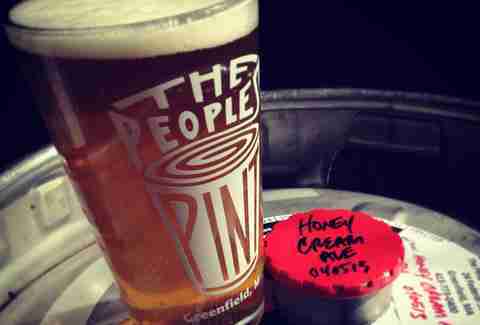 The Commonwealth is pretty damn serious about its bars and brews. It is, after all, the 10th best beer state according to leading experts. 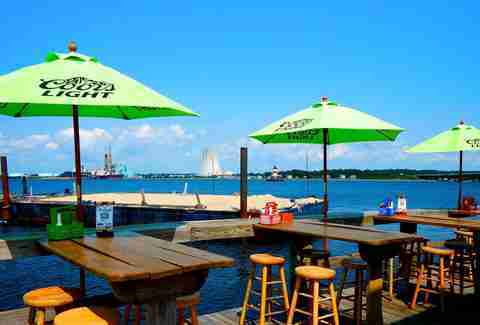 No matter where you go in the state of Drinkachusetts, there are fine drinking experiences to be found. Especially if you seek out these 14 gems when you find yourself outside the Hub. 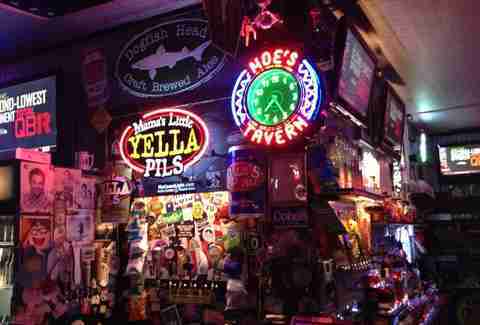 You probably (okay definitely) won’t find Homer, Barney, and the gang at Moe’s Tavern in Lee, and you definitely won’t find any mediocre beer. Check their website if you don't believe it. Moe’s takes their 17 rotating tap lines quite seriously (as in Goose Island Bourbon County Stout and Stone Smoked Chipotle Porter serious. They're even tapping wines, if that's your thing, and boast an impressive array of American whiskeys, if THAT's your thing (note: it's okay to have more than one thing). Once the booze has loosened up your wallet, hit their excellent bottle shop Trader Moe's and load up on some stuff to take home. Uncle Larry’s could have been the set for Roadhouse, which is one of the highest compliments one can bestow upon a watering hole. Cruise to Becket on your Harley (or in your Prius) for some honest brews, earthy regulars, and general rowdiness when appropriate. 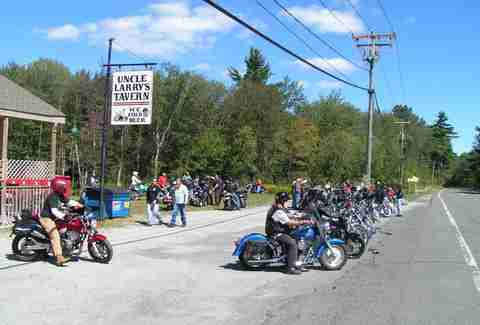 The big draw here is karaoke, but Uncle Larry’s maintains an aggressive schedule of fun-times with a little something for everybody. They have arm wrestling contests, flip cup tourneys, a Marshmallow Olympics (! ), bar sports (pool, darts, etc. ), live music, biker ride-alongs, and an annual pig roast (next one 9/13/14!). Tell ‘em Dalton sent you and "don’t eat the big white mint". This mini-empire in Great Barrington includes Gypsy Joynt Café, Gypsy Joynt Clothing Company, and Gypsy Joynt Jive (restaurant/bar/arcade)... all with more hippie magic than Jerry Garcia’s beard. 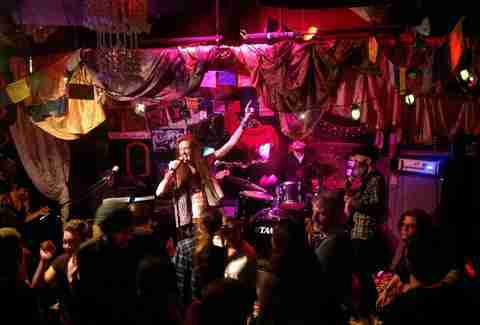 The café morphs from a daytime über-chill hangout spot to a raucous rock 'n’ roll den at night. Jive is an industrial chic rec room complete with pool tables and your favorite old-school arcade games. Craft beers (e.g. Berkshire Brewing), easy-going cocktails (Frozen Lemonade Whiskey), and a welcoming “hey, man” vibe keep things going all the way to Terrapin Station. While you’re in Amherst, a stop and a pop at The Pub are required by local law (just kidding... maybe). An institution since 1968, this neighborhood watering hole has hosted endless UMass students, their parents, and just about everyone within 100+ miles who needs a monster burger (Cheese Excaliburger!) and a cold one. Even Johnny Carson visited back in the day, and Natalie Cole made her singing debut here in 1972. Check their Facebook page for the Secret Word and get hard-to-pass-up deals (e.g. 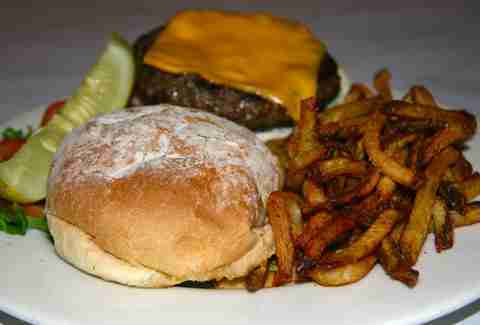 $5 burgers). Think global/drink local aptly sums up the philosophy at The People’s Pint, a bustling gastro-brewpub in bucolic Pioneer Valley. They source as much as possible from local farms for their bites and brews, and have a bicycle rewards program to reduce carbon emissions/your waistline. Current draft highlights include Shortnose Stout, Training Wheels (an American Session Ale), and Juicy Super Galactic Space Odyssey (with Australian Galaxy hops). Pints range from $4.50-$5.50, so you can take it easy on your wallet while taking it easy on the environment. Everybody wins. 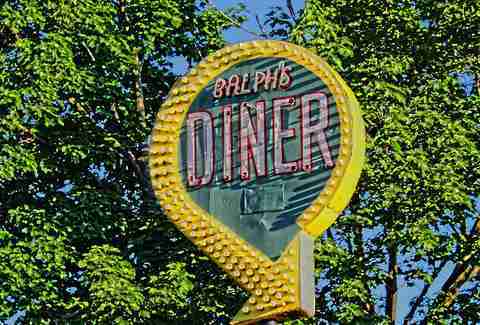 The Woo becomes “Funkytown” within the tchotchke-studded walls of Ralph’s Rock Diner, and you should take yourself there. Like... today. The literal/figurative cornerstone is the Art Deco rail car greasy spoon where you can grab a burger before catching legit local and national bands upstairs. (Alice In Chains and The Smithereens have rocked the crowds there). They get substantial style points for hosting a flea market and drive-in movie nights in their parking lot on Sundays, and Dirty Gerund Poetry Shows on Mondays. Who knew gerunds could be so bawdy? Ralph, that's who. Toni Topi and Mark White ditched their corporate gigs to open The Mill in 2011 and never looked back. Nor should they. 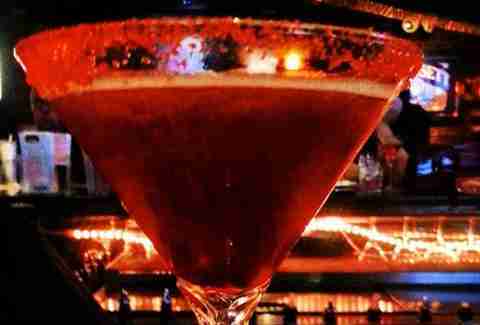 Since then, their resto-lounge has become the place to be in West Boylston with tempting specials (like Wicked Twisted pretzel creations on Tuesdays), belly-busting comfort food, and serious martinis. Karaoke Wednesdays, live music on Fridays and Saturdays, and big-screen TVs for the big games tie the whole room together. Pro tip: stop by from 4-6pm every day for their $5 bar menu and drink specials. Best. Name. Ever. Located on the "Fall Riviera" at the mouth of Narragansett Bay (across from the nuclear power plant! ), The Tipsy Seagull channels the best of Key West in Borden Light Marina. You can do oar shots with your friends (spring break!) and then completely dull your senses with a signature drink like the BLM 2014 Drink Winner “CooCoo Juice From F Dock”, a tropical storm made with Captain, Peachtree, banana liqueur, grenadine, OJ, pineapple, and a Myer's floater. No wonder that bird is a little tipsy. Bonus: take the complimentary Tipsy Taxi to their sister restaurant, The Tipsy Toboggan. So named for Boston’s one-and-only signature drink, Ward Eight is Lowell’s craft cocktail mecca. Located in one of the city’s oldest buildings (Abe Lincoln may have slept there), this place oozes historic charm from the ancient hand-cranked cash register to the bow-tied bartenders. 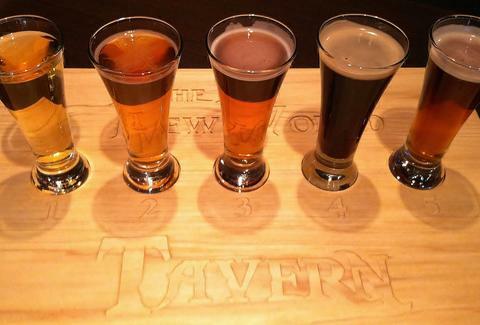 They have an excellent rotating beer menu, but their carefully constructed libations are the go-to move. Try the Ward 8 (clearly), Abe Linker, Central Smash, Satan’s Whiskers, and/or (and!) the Moscow Mule. Extra credit if you can still recite the Gettysburg Address after all that. 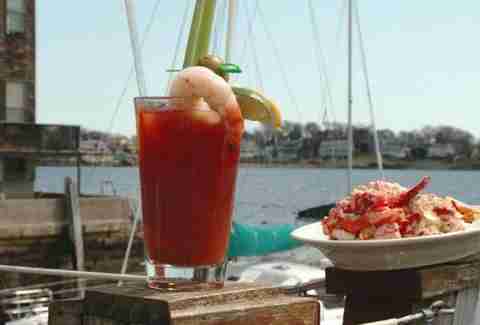 If you’ve been to Cape Cod and haven't drained a Goombay Smash at the “Comah”, then you really haven’t been to Cape Cod. Consider yourself informed. 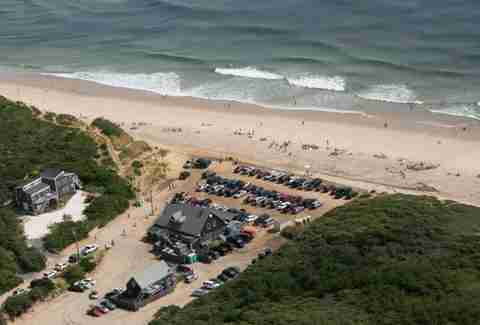 For 50 years this local landmark has served beach bums, families, and beach bum families looking for lazy and hazy afternoons on Cahoon Hollow Beach. Cheap craft brews ($5 Cisco Whale’s Tale) and heavy-duty cocktails (the aforementioned Smash, Comber Libre, Mooncusser) keep the crowds coming back summer after summer... after summer. You'll inevitably do the same. Check out that big rock you learned about in grade school, then land at The New World Tavern for their substantial beer list and next-level pub fare. 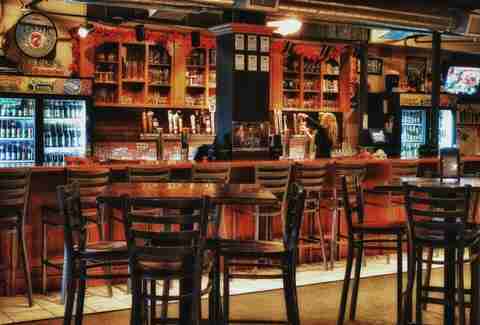 They have 32 drafts and more than 120 bottles of domestic and international brews, so you should have no problem finding something in your flavor wheelhouse. If you plan to become a regular (you should), join their Beer Club and get a plaque on their wall of fame, a T-shirt, and half-price pizzas (and, of course, bragging rights). Hungry? Make room for roasted bone marrow and oxtail roulade, steam buns with crispy pork belly, and Merguez lamb sausage. Well done, pilgrim. The best time to go to DG's is around 4:30pm on a weekday. 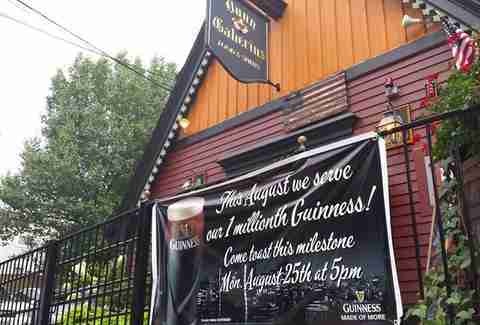 At that time, you’ll see a mix of Newton and Wellesley school teachers blowing off steam, firefighters and policemen off the clock, and a variety of other eclectic regulars who’ve been going to this place since Robert Dunn and Seana Gaherin opened it in 1991. Once you’ve gotten your Guinness, get their famous Broccoli Cheddar Bites, and then do yourself a favor, and get the Brazilian X-Tudo burger. What’s in it? Don’t know, but a Wellesley Middle School shop teacher tipped us off to it years ago and we’ve never been the same. It doesn’t matter if you’re a crusty fisherman, a fancy Marblehead High alum, or somewhere in between, if you’re up on North, you’ve got to go to the Landing on Marblehead harbor. Everything happens here -- live music, weddings, a crazy Loyalty club, a mug club, a wine club, a damn TV show. But even if you haven’t experienced any of it, and you’re not a crusty fisherman, or a fancy alum, just walk in, get a Harpoon and some of their Stuffies off the pub menu (chopped clams, sautéed onions, celery, bacon, spices & seasoned crumbs baked in large quahog shells) and soon you’ll be loyal, whether you’re in the club or not. 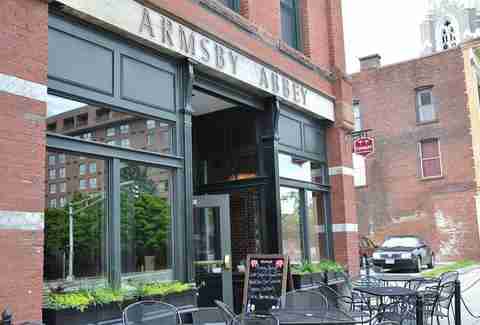 From the owner of the highly rated Dive Bar (yes, that is the actual name), Armsby Abbey is an absolute gem in the middle of the Woo -- an honest-to-goodness legit craft beer bar where owner Alec Lopez slings 22 craft taps (six Belgian), plus 180 bottled beers. 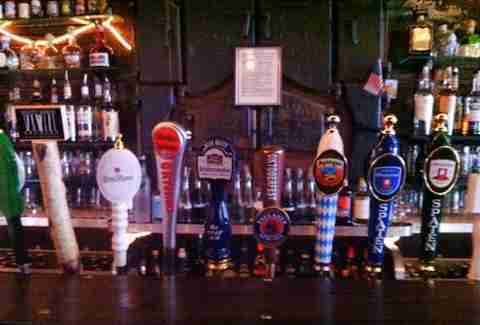 Last week, the taps held gems like Great Divide Yeti, Jack’s Abby Hopstitution #5: BAM!, and Sixpoint Gorilla Warfare. The menu is no slouch either, with fancified comfort eats like Jerk Wings w/ Kohlrabi Slaw, and Crust Bakeshop’s own homemade bagel chips with whipped cream cheese and habanero jelly. If you’re in a 30-mile radius, you should probably go immediately.